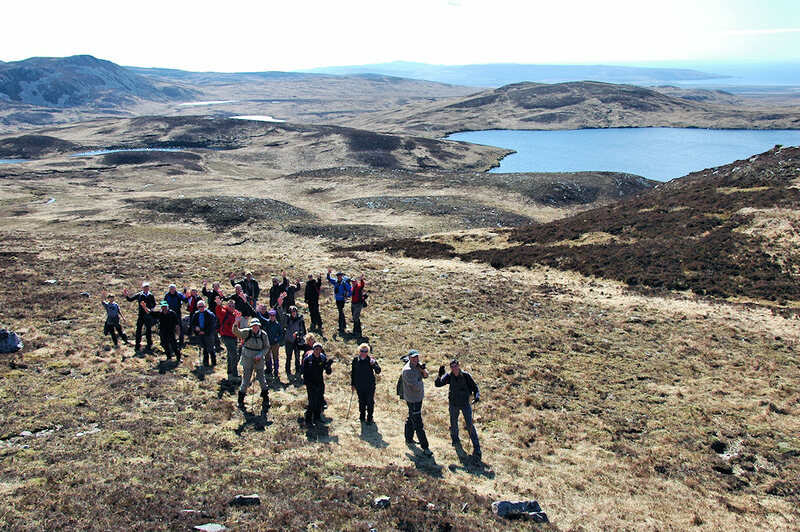 A group of walkers in the hills above Castlehill in the south of Islay waving at the camera. Not entirely sure where exactly, but somewhere around Beinn Uraraidh. The Oa visible in the haze in the distance. Taken during an Islay walking week a few years ago. This entry was posted in Freshwater Loch, Landscape, Repost, Sunny Weather and tagged Castlehill, Islay, The Oa by Armin Grewe. Bookmark the permalink.